Celebrities who stepped out for the ceremony included Deepika Padukone and husband Ranveer Singh, Alia Bhatt and Ranbir Kapoor, Kalank actors Varun Dhawan and Madhuri Dixit, and Sonam Kapoor among others. 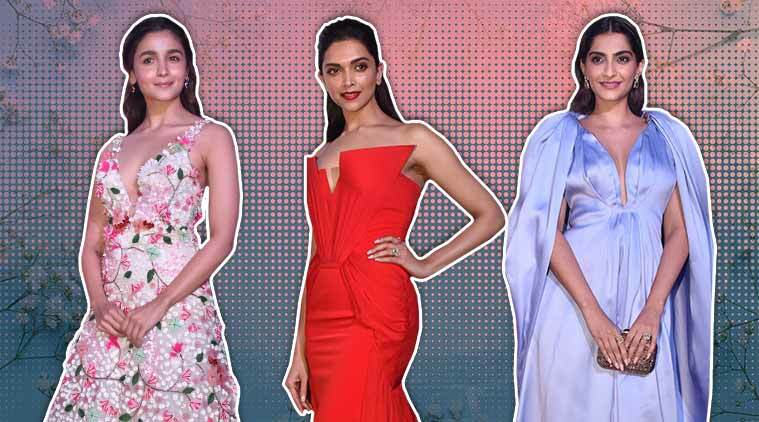 Zee Cine Awards 2019: Take a look at who wore what to the glamorous awards night. The annual Zee Cine Awards was a star-studded affair and the who’s who of Bollywood arrived at the red carpet in haute couture. Among those who attended the event were Deepika Padukone and husband Ranveer Singh, Alia Bhatt and Ranbir Kapoor, Kalank actors Varun Dhawan and Madhuri Dixit. Also spotted were Sonam Kapoor, Katrina Kaif, Vicky Kaushal, filmmaker Karan Johar, Kartik Aaryan, Kriti Sanon, Jahnvi Kapoor, along with Kiara Advani, Malaika Arora and Radhika Madan. Take a look at who wore what to the glamorous awards night. Deepika Padukone and Alia Bhatt posed together on the red carpet. While Padukone opted for a red structured gown by Gaurav Gupta and had pulled her hair back neatly, Bhatt looked lovely in a floral white floor-length gown by Celia Kritharioti, which featured a plunging neckline. 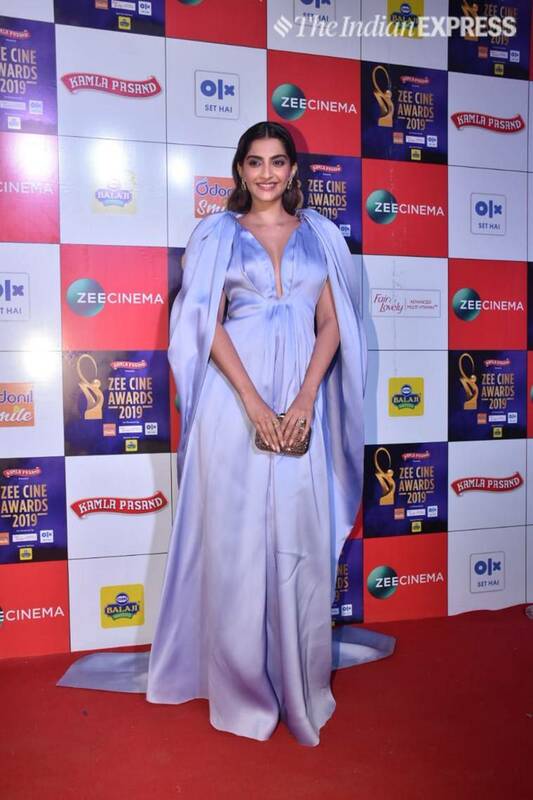 Sonam Kapoor wore a lilac satin number which featured a dramatic cape from Maison Yeya’s collection. She kept her hair loose and accessorised her look with earrings, rings and a Jimmy Choo clutch. 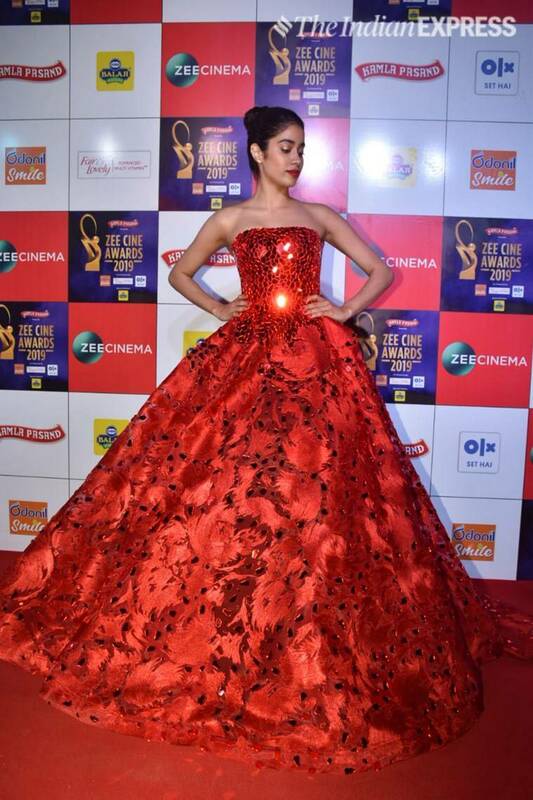 Janhvi Kapoor opted for an all-red look and wore a voluminous red dress by Atelier Zuhra. The strapless gown featured mirror work detailing, and the actor rounded out her look with hair pulled back in a neat bun and a no-accessories look. 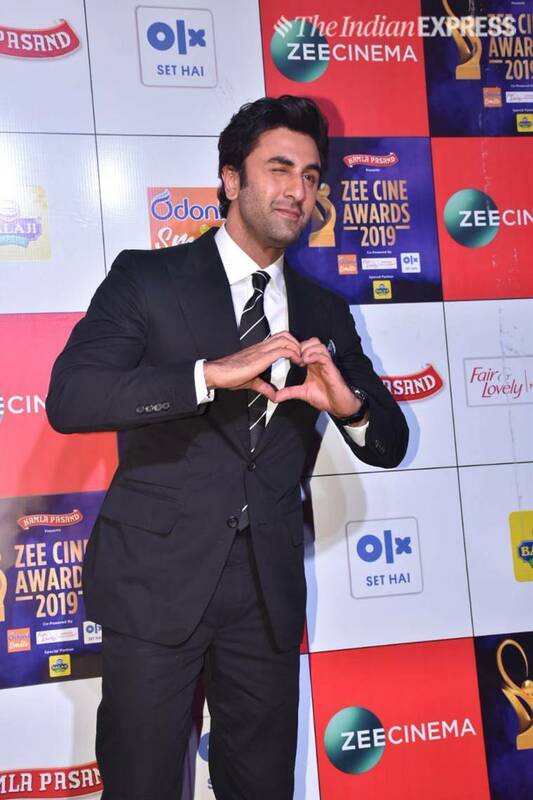 Ranbir Kapoor opted for a formal look and wore a regular black blazer set. We think the Rockstar actor looked dapper. Ranveer Singh was his funky best in a floral black blazer and black pants. He accessorised his look with a bow tie and sunglasses. Kiara Advani wore a mustard yellow strapless gown in satin which had silver embellishments all over it. 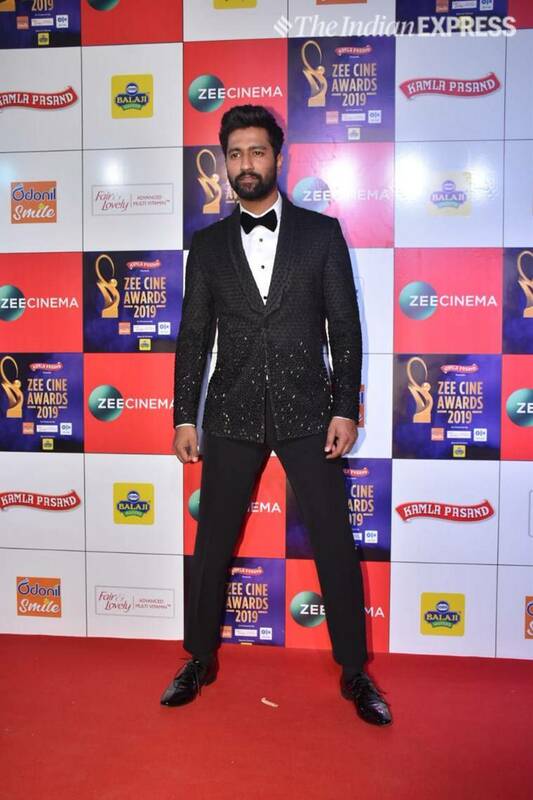 Uri actor Vicky Kaushal looked handsome in a black blazer with embellishments, which was teamed with black pants and matching shoes. 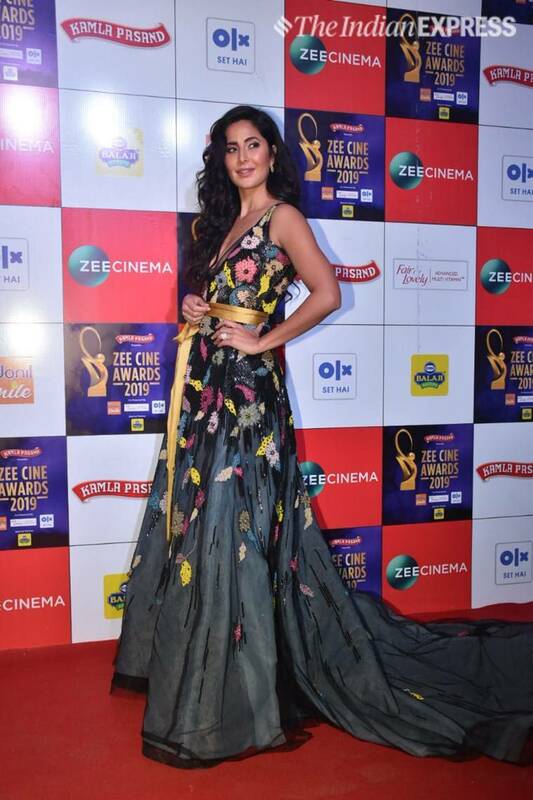 Katrina Kaif wore a floral black gown, which featured a train, by Reem Acra. The Zero actor’s gown was accesorised with a golden satin belt. She chose to wear her hair loose and opted for subtle make-up. Actor Kriti Sanon and director Karan Johar posed together for the shutterbugs. While Sanon wore a sleeveless black gown, Johar wore a white and black blazer set. Madhuri Dixit wore a black structured gown paired with diamond danglers. The actor kept her hair loose and added a pop of red to her lips. Ayushmann Khurrana wore a dramatic pantsuit in black, which he teamed with a pair of embellished gloves – giving his attire an edgy look. Radhika Madan was spotted donning a figure-accentuating ivory gown by couturier Dolly J for the Zee Cine Awards last evening. The embellished gown with a trail looked lovely on the actor.